Pruning is often dressed up as complicated and difficult, but follow these simple rules and your plants will be healthier and happier, writes James Wong. 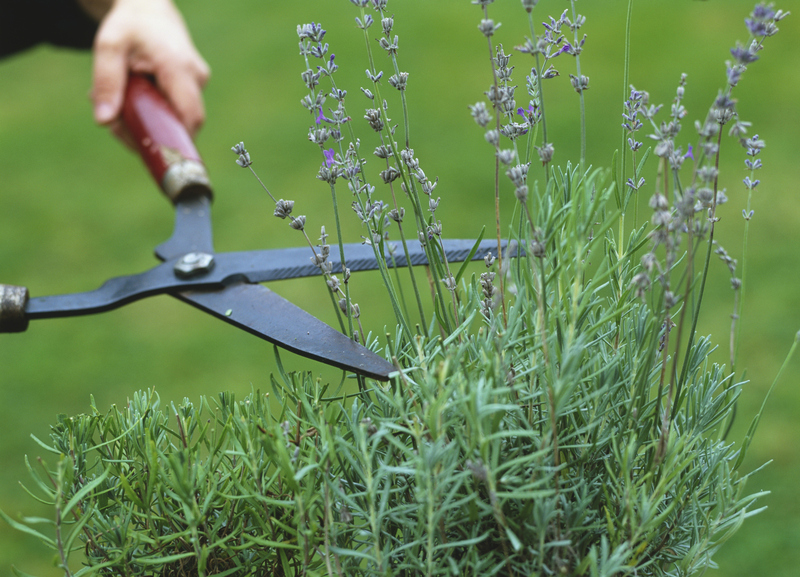 When it comes to things that fill newbie gardeners with fear, pruning has got to come pretty high on the list. Those cat's cradle diagrams in old-school gardening books, including strict rules about timings and even the angle at which you make each cut, are pretty daunting even to a botanist like me. But here's the good news: much of this complicated advice is not strictly necessary and studies have shown you can greatly simplify the whole process and get the same results. Once you understand the science behind why pruning works, it all becomes far easier to get right and remember. So here's a botanist's express class in the science of pruning. One of the fascinating things about pruning is that it is a method of manipulating the internal chemistry of a plant; a natural way of triggering the production of certain hormones that can significantly change how it grows. An easy way to illustrate this is through pruning techniques that encourage dense, bushy growth. In many plants a phenomenon called "apical dominance" exists, where the growing tips of branches emit hormones which suppress the development of buds further down the branch. Because of this, simply snipping off the tips of long, lanky branches will suddenly free dormant buds further along the branch from this hormonal control and cause loads of new, denser growth. As it is on these lateral buds that flowers and fruit tend to be produced, simply doing this is likely to give you not just stockier plants, but heavier harvests and more blooms. Removing larger amounts of growth, for example, by hacking stuff down to ground level in spring in a technique called "pollarding", can spark off the production of hormones that boost vigorous vegetative growth. The resultant foliage can be three or four times the normal size. The horticultural paradox that hacking back plants can make them grow more strongly means this trick is often useful for reinvigorating older, congested plants. In some trees and shrubs which have different foliage types at different life stages, such as eucalyptus, it can even reverse the ageing process, triggering the round, coin-like, heavily scented growth of seedling trees, instead of the duller, sickle-shaped form. Pruning is also a useful way of manipulating how plants allocate their resources. For example, by reducing the number of fruit on a tree, the remaining fruit tends to become larger, sweeter and often higher in vitamins and minerals. This is, essentially, because the plant's resources are spread less thinly. Want the biggest pumpkin ever? Nip off every flower bud as it forms to keep the plant focused on growing a record-breaker. Want sweeter apples? Thin out at least half the young fruit and they'll be higher in sugar. The same thing works if you are taking cuttings. Snipping off some leaves will reduce the amount of water loss the baby plant will experience, allowing it to focus on new roots.